E-Agribusiness refers to marketing the agriculture product or services, buying, selling, distributing and servicing agriculture products or services on internet. In e-agribusiness electronic applications are used for commercial transactions. M-Agribusiness is Mobile Agribusiness through internet on cell phone. It is purely the expansion of electronic commerce to mobile devices. M-Agribusiness enhances the agriculture business performance and improves the agribusiness productivity. The two major features of m-agribusiness is convenience and reach ability for the users. People can’t restrict them selves to desktop terminals. Through M-Agribusiness users will become totally movable. 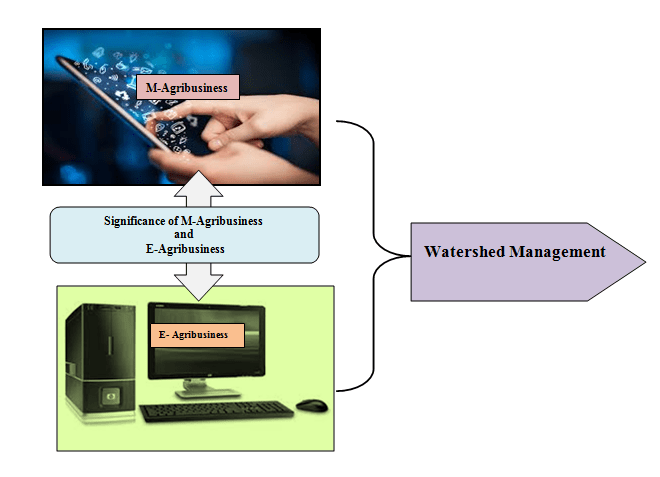 In the next upcoming post Watershedpedia will enhance its study on M-Agribusiness and E-agribusiness..